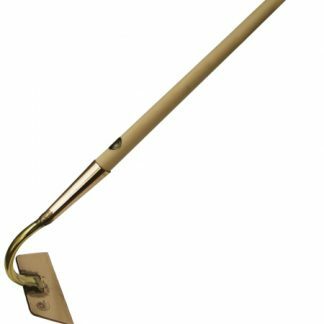 Auva is a slender, elegant border spade. It has a steam-bent ash shaft and a beech T-handle. The head is work-hardened tin bronze, curved in two planes for additional strength. 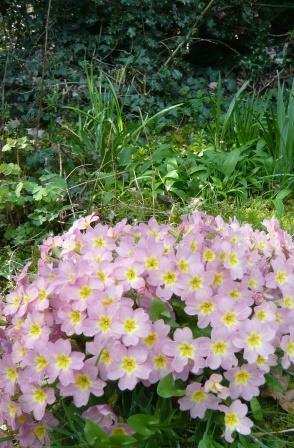 The pointed end to the blade is very sharp, allowing it to slice easily into the soil. The lip at the top of the blade saves your wellies, too. Here is the Auva in use. Testers’ verdict: most wanted. “I didn’t want to give it back at the end. 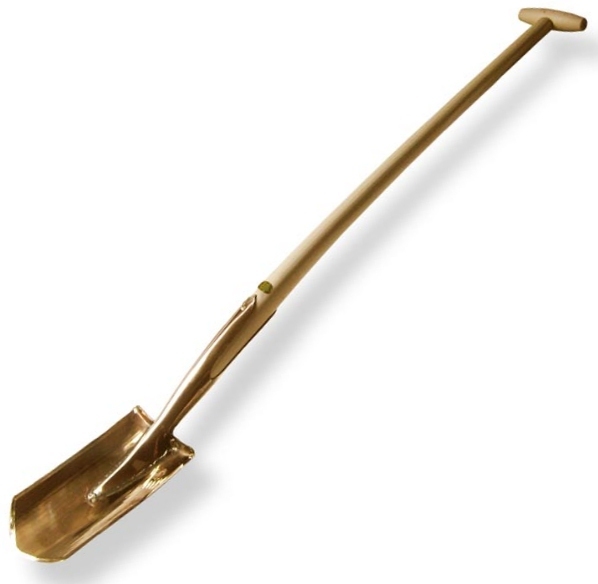 I’d swap my normal tool for this spade,” said one tester. ‘Most Wanted’was the verdict of the Gardening Which? testers on the Auva Spade. 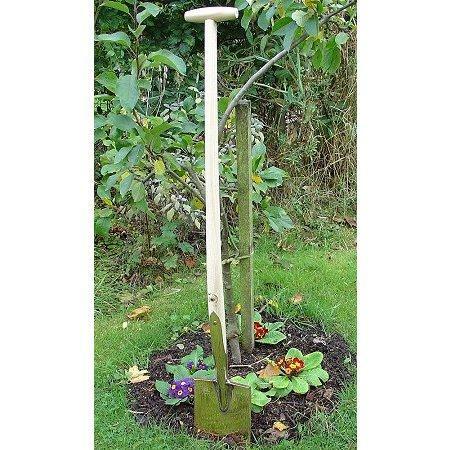 ‘I’d swap my normal tool for this spade’, said one of the testers in the October 2008 issue of the magazine. 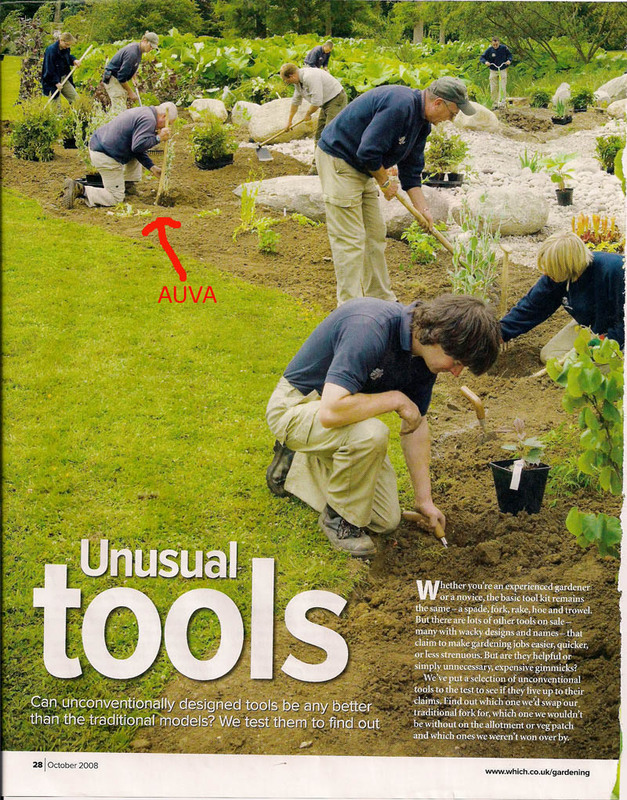 A team of professional gardeners trialled nine unusual garden tools – and the Auva came top! 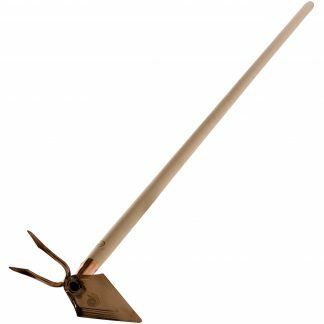 Just wanted to say thank you once again as my spade and hoe arrived safely this morning. I’ve already used the former (all too briefly) and it was an extraordinary experience. Went through the soil like butter. I am sorely tempted to try and weasel out of tonight’s social obligations and just get back into the garden. I LOVE IT! Made short work of uprooting stubborn horseradish. Has sliced into hard compacted earth at home, which I’m turning over for a veg bed. Been everywhere, done everything asked of it. 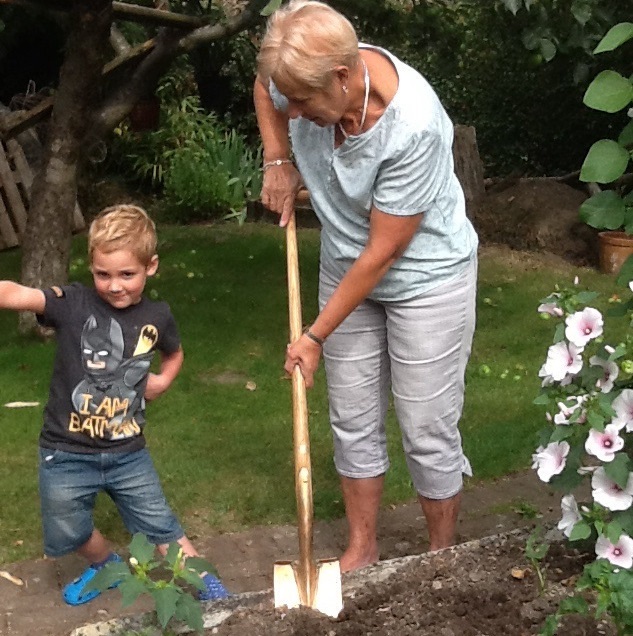 Like all of your garden tools, it’s sharp, reliable and comfortable to be with…like a trusty old husband! 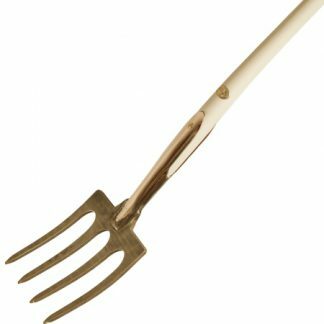 Have been using my spade today until my husband borrowed it, so reverted to my old stainless steel spade. I couldn’t believe the difference. 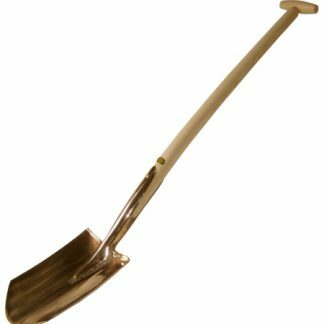 Your spade it so nicely balanced and sharp it is so much easier to use. Needless to say husband was required to swop spades fairly quickly! 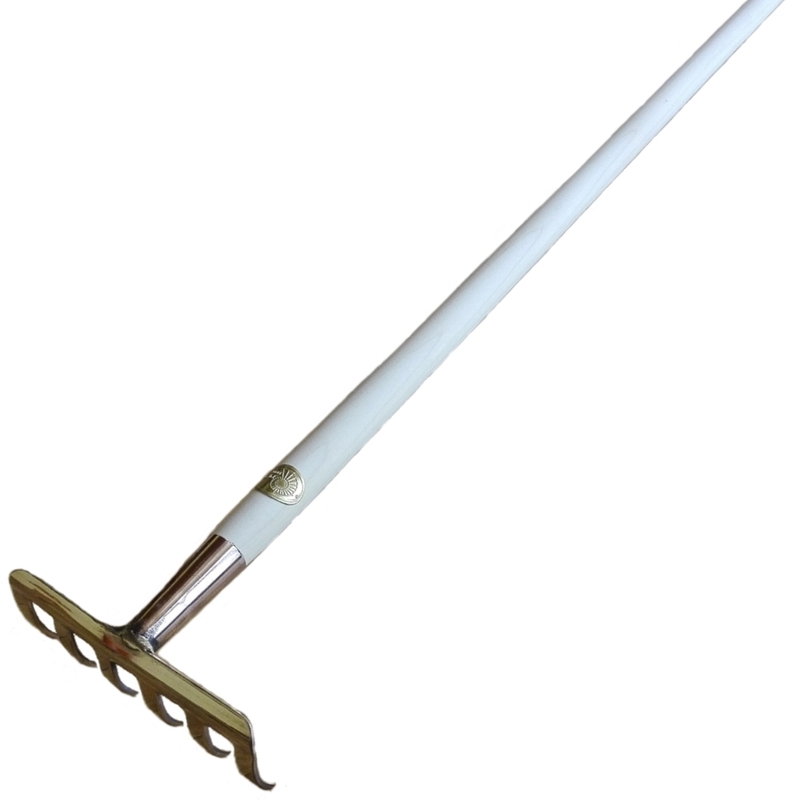 Would recommend your tools to anyone serious about gardening. Lovely, light, sharp. The slight bowl to the blade is great for mulching in busy borders. Dividing perennials? Slices through just like that. Shaft feels nice in the hand too. It’s not first choice for heavy jobs – chopping tree roots, digging out stumps, etc – but a pleasure to use for anything else.